The Ilyushin Il-86 is the first Sovjet-built widebody airliner. The first flight took place on 22 December 1976 and Aeroflot introduced the aircraft into service in December 1980. More than one hundred aircraft have been built until the production ended in 1994. The Ilyushin Il-86 offers capacity for up to 350 passengers. Economy-seats are arranged nine-abreast, divided by two aisles. A unique feature of the Il-86 is the passenger access via staircase doors on the lower deck. After entering the aircraft via these doors, passengers can deposit their luggage in the lower-deck stowage positions and climb to the main deck via an internal staircase. Ilyushin initially designed the Il-86 like the earlier Il-62 with four engines at the rear of the fuselage ad a T-tail. This wasn't a good idea, however. The design suffered poor low speed handling characteristics and a lot of extra weight was needed to support the engines. Later Ilyushin engineers adopted the concept with four engines under the wing and a conventional tail. The aircraft has three four-wheel main undercarriage legs. The Sovjet-Union didn't have large high-bypass turbofan engines as used on Western widebody aircraft. Therefore the aircraft is powered by four Kuznetsov NK-86 turbofan engines with a low-bypass ratio, which are rather fuel-thirsty. For that reason the range of the Ilyushin Il-86 was limited and it didn't attract export-sales to non-Soviet countries. Plans to re-equip the aircraft with western CFM56 engines didn't materialise, because of lack of funding. The Ilyushin Il-96-300 is a short-fuselage, long-range version of the Il-86. It has more efficient, higher-bypass turbofan engines (Aviadvigatel PS-90A), a new wing, a digital EFIS flightdeck and fly-by-wire controls. Other innovations are the more extensive use of composite constructions including flaps and main deck floors, and the application of winglets. The Il-86's feature of a lower deck stair for independence of airport equipment didn't return in the Il-96 design. The aircraft was first flown on 28 September 1988 and certificated in December 1992. 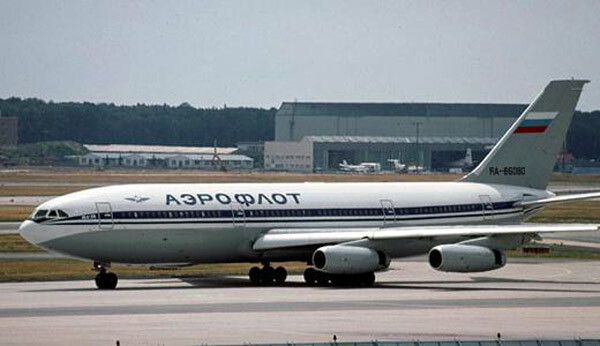 In 1993 the type entered service with Aeroflot. Only few more than ten aircraft have been built so far. Derivatives are the Il-96M and Il-96T. They have a stretched fuselage and are equipped with Western Pratt & Whitney PW2337 engines and Rockwell Collins flightdeck avionics. First flight of the Il-96M passenger plane took place in April 1992. The Il-96T is the cargo version of this aircraft, flown for the first time in May 1997. The Il-96-400 is a version of the Il-96M/T with Russian engines and avionics. It can be seen as a much improved successor of the Il-86. On the drawing boards also appeared a twin-engined derivative with Western engines, designated Il-98. 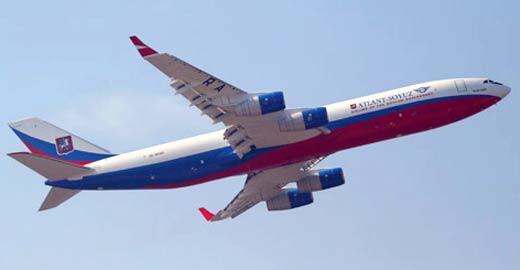 Of all Il-96 versions more than thirty aircraft have been ordered and more than twenty have been delivered. The production runs at a very low speed.